Firsthand behind-the-scenes stories of the most exciting victories, worst tragedies and biggest controversies of Australian motor racing's holy grail, the Bathurst 1000. 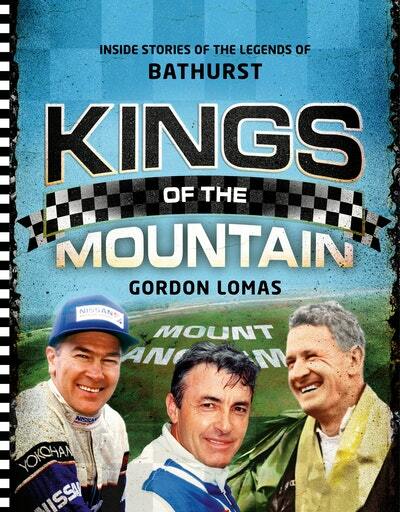 Kings of the Mountain is a richly photographed compendium of untold stories from the incredible history of Australian motorsport’s biggest race. Renowned racing journalist Gordon Lomas, author of Bathurst, interviews over 20 winners of Bathurst, from Bob Holden and Jim Richards to Mark Winterbottom and Chaz Mostert, as well as Phil Brock’s recollections of his brother Peter and a host of other racing icons. Fiery rivalries, controversies, the heartache of defeat and the rapture of victory – all reveal just what it takes to compete on Australia’s most famous track. Love Kings of the Mountain? Subscribe to Read More to find out about similar books.